There are many different CBD oil brands on the market right now. It’s important to remember, not all of these brands are created equally. Research is needed to make a beneficial decision on what product to use. The benefits of CBD oil seem to be endless. Utilizing a high-quality CBD oil supplement can really take a health regimen to the next level. Whether a person is dealing with ongoing pain issues, inflammation in the body, depression, anxiety, obsessive compulsive disorder, Parkinson’s disease symptoms, epilepsy, etc., there are a number of ways that the best CBD oil brands can assist. In order to be most effective, a product must be safe, pure and potent. Just like with other health supplements, there are products that are made to be more affordable. That doesn’t mean its ingredients are the best option. With so many different CBD brands on the market, it takes some research in order to find out what the best option may be. 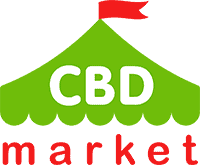 CBD.market cares a lot about the distributors that are sold on our website. It is important that the product we are selling is safe, high-quality, beneficial and affordable. We provide you with a good deal of information regarding each brand on our site. You should also do some additional research on your own before making a final purchase. How to Choose the Best CBD Brand? Pay attention to full-spectrum products. Full-spectrum CBD oil brands come with a bunch of different cannabinoids, minerals, fatty acids, vitamins, protein and chlorophyll that all work together to create a great product. Results tend to be better with a full-spectrum product. If you’re looking for a versatile product that the whole family can safely use, you’ll want to opt for a product that doesn’t contain any THC. This is the ingredient in many hemp products that make a person feel ‘high’. A lot of brands choose not to remove the THC from their product because it adds another expense to their manufacturing process. A reputable brand is going to make sure they take it out. A brand should have a very consistent manner in which they create their products. Some choose to create their own broad spectrum formula. This tends to result in an inconsistent product. Opt for a distributor that keeps their formulation the same, and they should also provide you with all of the batch information. What Kind of Distributors Are on CBD.market? Created in 2012, Dixie Botanicals is one of the first mainstream CBD oil distributors. High-quality cannabinoids is their focus, producing a wide variety of products. This includes salves, isolates, tinctures, edibles and capsules. They are THC free, using a very consistent and specific method of creating their products. They utilize scientists, nutritionists and herbalists to ensure their products are excellent. Here you can find Dixie Botanicals production. This is the first CBD skincare line on the market from a CBD oil distributors. This is a way to improve the look and feel of your skin in a healthy way. Cleansers, moisturizers and other skincare products are designed to make you look younger and more radiant. Your skin will react beautifully thanks to high-quality ingredients without the addition of dyes, parabens, fragrance or sulfates. Here you can find Cannabis Beauty Defined production. Changing the phytocannabinoid industry one product at a time, Pure Spectrum strives to create high-quality CBD products and raise the bar. This is one of the purest product lines you are going to find. Infusions are created with a very intricate process. Here you can find Pure Spectrum production. If you want to look all CBD brands click here.